The Port of Tyne in North East England is preparing for the busiest day ever at its International Passenger Terminal in North Shields with the arrival of a record five passenger ships all in one day including the biggest cruise ship ever to visit the Port. 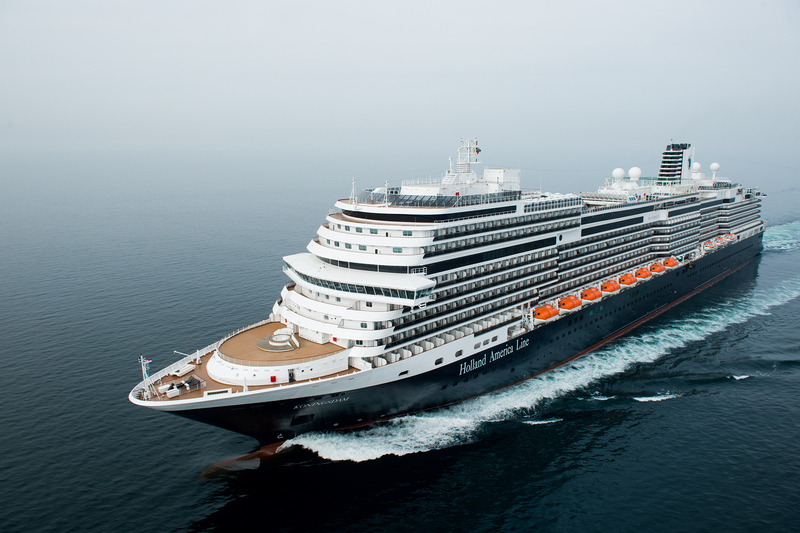 Today (Tuesday 16 August) Holland America Line’s Koningsdam will break the record books as the largest cruise ship to visit the Port of Tyne at 297.2 metres long and 99,500 gross tons. Launched in April this year Koningsdam is one of the world’s newest cruise ships bringing almost 4,000 passengers and crew to the region. Every available passenger berth will be used as five passenger ships arrive bringing visitors the North East region. German-operated Aida Vita which arrived on Monday is sailing today (Tuesday morning) closely followed by the arrival of Seven Seas Voyager, Koningsdam, the DFDS King Seaways and Astor. The combined length of all five vessels is 1,043.90 metres (3,424.86 feet) and an estimated 10,000 passengers and crew are expected to pass through the Port’s International Passenger Terminal throughout the day. Andrew Moffat Port of Tyne, Chief Executive Officer, said: “The Port has worked hard to increase the number of cruise ships coming into the region and this year we expect a record 43 cruise calls, up from 29 last year. Whilst this is good news for the Port of Tyne, it is also very good for the region – the impact on the local economy is estimated at around £50 million each year, supporting 1,700 jobs. With such a large number of passengers to welcome, the excitement is building at the passenger terminal where preparations are well underway. A record number of coaches are expected to take passengers on tours to explore North East England and its world-class visitor attractions such as Alnwick Castle and Gardens, Hadrian’s Roman Wall, Durham Cathedral and City, and the Holy Island of Lindisfarne. For further information on the cruises available from the Port of Tyne visit the Port’s website www.portoftyne.co.uk/cruise or contact your local travel agent.